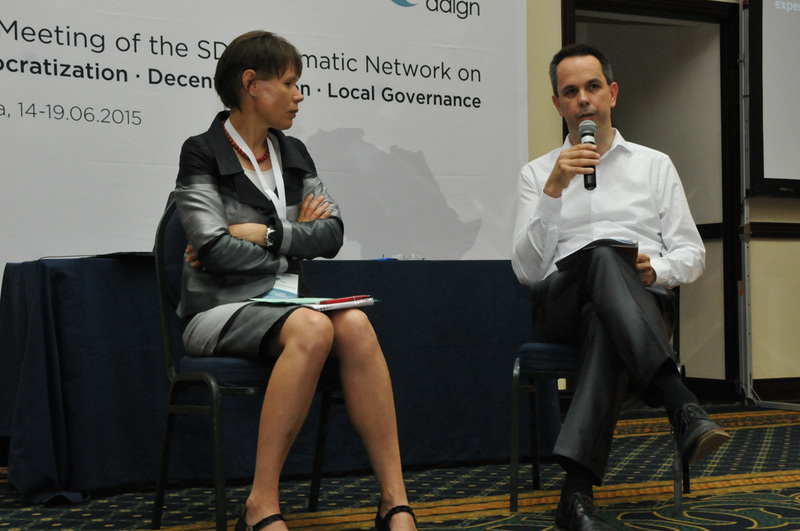 Harald Schenker from the DDLGN Focal Point team introduced participants to donors’ experience in supporting local and national parliaments in their various functions within a democratic State. 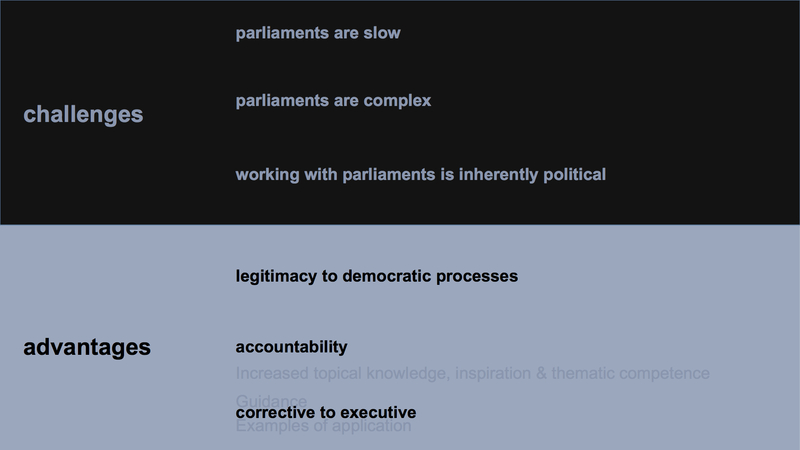 There are a series of challenges when working with parliaments: slow, complex and inherently political processes. But parliaments have a key role in providing legitimacy and accountability to democratic governance. A variety of forms of and entry points for support were listed, in relation to the law-making role, the representation and the oversight role were listed, and partly have been tested by SDC in a variety of contexts, Parliament administration might be an important partner to support. You can download Harald’s presentation here. 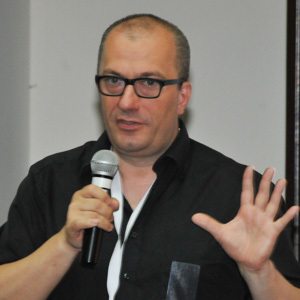 Franklin de Vrieze, Democracy Reporting International, presented the results from his study on “global mapping and analysis of parliamentary strengthening”. Katharina Häberli and Franklin de Vrieze made comments on the various and modalities of parliamentary support and added on from an experienced expert perspective. You can also download the discussion boards here.